all while experiencing one of nature’s wonders, Niagara Falls? Formed over 12,000 years ago, Niagara Falls lies between the United States and Canada. Consisting of three awe inspiring waterfalls, Niagara Falls is sacred to Native Americans like the Iroquois tribe. For centuries, the Iroquois believed that the sound of the waterfall was the voice of the mighty spirit of the waters. Classroom sessions focusing on local history, customs and traditions will be enriched by exploration of some of the many sites, sounds and attractions this amazing area has to offer. Fly to Buffalo (New York) International Airport. Take free shuttle to the Hampton Inn - Buffalo Airport. Class begins at 5:00 p.m. and ends at 9:30 p.m. Class will be held at the Hampton Inn. Overnight at the Hampton Inn. Students will be transported to the Comfort Inn The Pointe in Niagara Falls, New York. The hotel is adjacent to the beautiful Niagara Falls State Park. Class takes place between 9:00 a.m. and ends at 4:00 p.m. Class will be held at the Comfort Inn. You’re free for the evening to explore Niagara Falls on your own. Class begins at 10:00 a.m. and ends at 5:00 p.m. 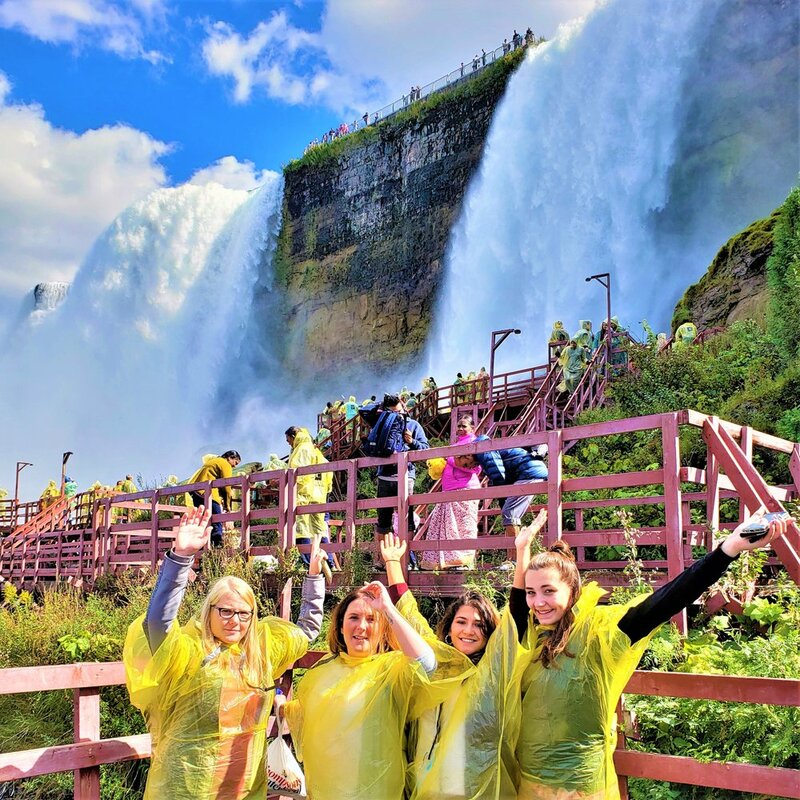 Your teacher will provide you with a Discovery Pass which includes entrance to Cave of the Winds, Maid of the Mist boat ride, Discovery Center as well as other attractions in Niagara Falls State Park. Check-out of the Comfort Inn by 11:00 a.m. Please note that the cost of airfare to/from Buffalo, New York is not included. Students returning to Buffalo International Airport on Sunday, June 9, will need to provide their own transportation to the airport. 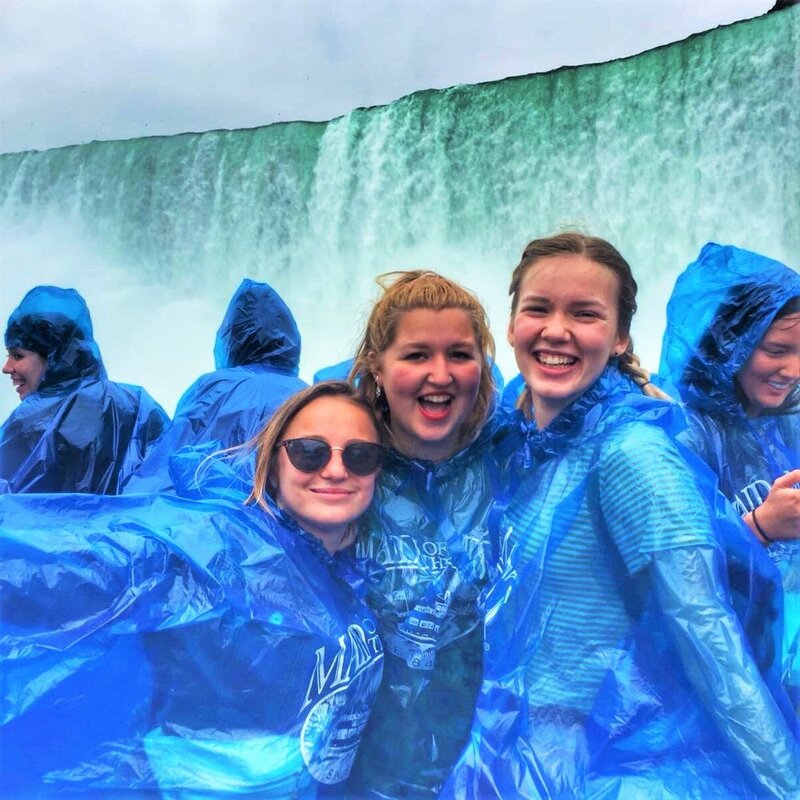 Buffalo International is approximately 17 miles from Niagara Falls, New York. A one-way taxi ride costs about $55 so we will encourage you to share a taxi or Uber with your fellow students. One week before the start of class we’ll invite you to “care to share” which will allow you to communicate with other students and arrange taxi/Uber car pools. The Niagara Falls course takes place on the United States side of Niagara Falls. If any student wishes to visit the Canadian side of the Falls, this is an easy 10-15 minute walk over the Rainbow Bridge from our hotel, Comfort Inn The Pointe. Please remember, however, that you’ll need proper documentation to enter Canada and return to the U.S.